Your Number One Choice in Carpet, Upholstery & Tile Cleaning in the Dainfern, Douglasdale, Kyalami, Sunninghill, Beaulieu and Midrand Areas! 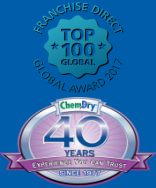 Our customers become part of our Chem-Dry family with their very first call – many of whom book and ask for their cleaning teams by name.. Welcome to the wonderful World of Chem-Dry – A Top Class, Professional Carpet & Upholstery Cleaning Organization who not only use Environmentally Friendly cleaning products but who also strive to provide the best all round cleaning experience for you – Our most valued customers! Chem-Dry Fourways strive daily to provide homes and businesses in our area with hassle free clean ups! Throwing a child’s birthday party? Entertaining some friends? No matter what the occasion, Chem-Dry Fourways will help relieve the stress of your pre or post cleaning requirements. 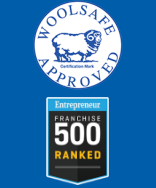 Our teams are both professional and dedicated to their customers and quickly become household favourites amongst their regular clients. At Chem-Dry Fourways we offer a one-stop-shop in terms of fibre maintenance! We are World leaders in cleaning technology and can provide professional cleaning services for your fitted Carpets, Upholstered furniture, Curtains, Mattresses, Persian & Shaggy Rugs. Our large range of Retail products make it easy for our customers to maintain their carpets between cleans. Small spillages and marks can be easily wiped away with our WORLD FAMOUS Spot remover canisters, these popular cans can be ordered directly from our offices and delivered anywhere in the Sandton, Randburg, Fourways and Midrand areas within 48 hours or sooner. 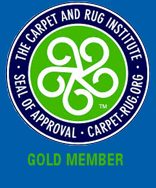 Our specially trained Rug technicians will clean your Dhurrie Rugs, Kilim Rugs, Persian Rugs, Chinese Rugs, Decorative Rugs, Animal Hide Rugs, Sisal Rugs, Coir Rugs, Hemp Rugs, Husky Rugs, Paco Rugs, Leather Rugs and most other designer rugs available on the market both locally and internationally. We also offer other specialized services such as Flood Water Restoration, Anti Microbial treatments, Fabric Protection Services, Deodorizing, Anti Static Treatments and Car Valet Services. Another Chem-Dry speciality is our Protection services which will ensure that you will maximise the life of your Carpets, Upholstery, Car Seats, Rugs and Curtains by protecting the fibres against irreparable damage that is caused when fibres absorb certain elements of spillages and marks! These amazing products will prevent stains and marks from becoming permanent damage and will also ensure the best possible results from your next clean – thus extending the life of your home! 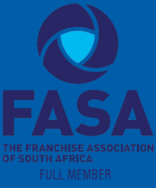 Our staff are fully Registered and Professionally trained, 80% of our staff have been with us for over 10 years, three of our Team leaders have over 15 years Service with our branch! Chem-Dry Fourways is your local Tile Cleaning and Sealing Specialist. We will bring back the natural beauty of your home or office Tiles. After years and years of commercial grade home cleaning products and/or home or office renovations – dust and dirty grimy build up leave your tiles looking ‘worse for wear’ and old! Grouting tends to turn black and oily leaving your home dull and dirty looking! We offer Tile Cleaning & Tile Sealing Services in your area – contact us NOW!- -DRIER. CLEANER. HEALTHIER.